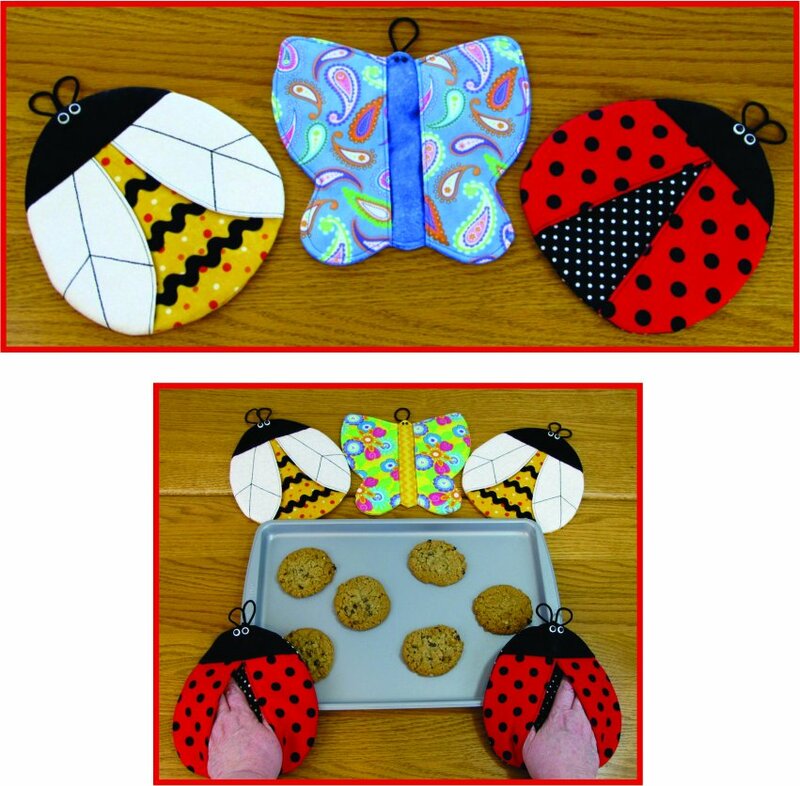 For even more fun in the kitchen, sew up some really cute Butterfly, Bee or Ladybug Pot Grabbers for use with the oven, microwave or stove top! So easy you can sew up a bunch for gifts or to keep in no time! Sew easy, functional and fun! Approximate finished size 8" - 10".